Do you have an ORCID iD? If you do research and publish your work, you should consider getting an ORCID iD. ORCID stands for Open Researcher and Contributor ID. You can learn more from the ORCID Frequently Asked Questions page. Your ORCID iD is a unique 16-digit number (ex. 0000-0002-6374-9591) which points to a public profile (ex. orcid.org/0000-0002-6374-9591). 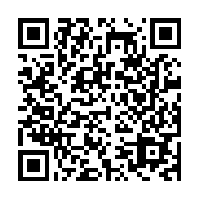 The ORCID website can generate a QR Code which you can add to your publications and websites. Your ORCID record can contain education, employment, and publication information much like a résumé or curriculum vitae. Major research database vendors support ORCID iDs and integrate ORCID into their systems. Elsevier supports ORCID and has a Scopus to ORCID feature that adds your Scopus ID to your ORCID record. Elsevier’s manuscript submission system accepts an ORCID when submitting manuscripts for publication. Elsevier plans to pass it along as metadata to CrossRef. Using an API, ProQuest integrates the ORCID into its Pivot application. Pivot users can link their profile in Pivot to their ORCID record. Thomson Reuters, through its Converis research information system offers, supports ORCID throughout the entire research lifecycle from assigning ORCID iDs to importing publications from other online sources using the ORCID iDs. Their ResearcherID is ORCID compliant. Register for an ORCID iD at orcid.org/register. Follow the ORCID Organization on Twitter at @ORCID_Org.